Liverpool officials will be breathing a sigh of relief after it was revealed the club would be facing no further punishment over the pursuit of Virgil van Dijk. The Premier League will not be taking disciplinary action against Liverpool after Southampton lodged a complaint against the Reds regarding an apparent illegal pursuit of the defender, according to the Telegraph’s Jeremy Wilson. Secret meetings between Van Dijk and Jurgen Klopp triggered Saints officials to request an investigation, leading to Liverpool issuing an apology via an official club statement, in which they also ended interest in the Dutchman. This came after it had been revealed the centre-back had set his heart on a move to Anfield and, in turn, turned down both Manchester City and Chelsea. With Liverpool’s apology having been accepted and no new evidence having been presented, the Premier League has opted to end proceedings, although Southampton are yet to have withdrawn their complaint. Despite the initial setback, there have been murmurs that a fresh approach could still be on the cards and that a deal may be possible were Van Dijk’s £70million price-tag to be met. 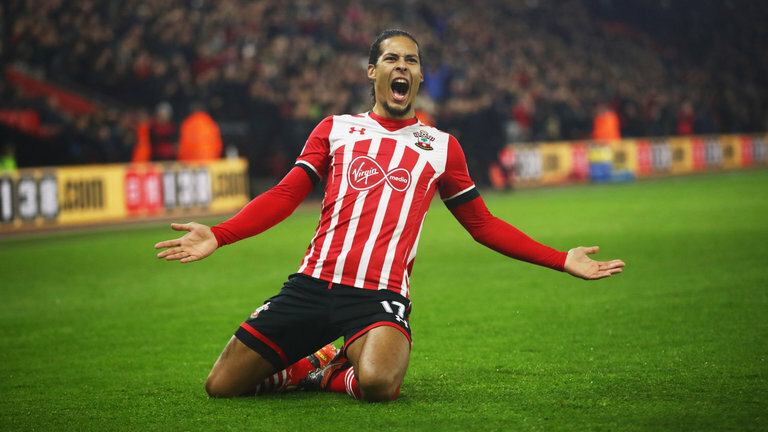 That said, it has also been reiterated by various reports that Southampton are standing firm in their stance over Van Dijk and adamant that he will not be sold to Liverpool. A move for RB Leipzig’s Naby Keita has since emerged as a priority with news coming out of Germany on Monday suggesting the £70million-rated midfielder wants to leave the Bundesliga side. Similarly, an official approach for Alex Oxlade-Chamberlain has found a way to the top of Klopp’s ‘to do’ list with the club supposedly sending a direct enquiry to Arsenal regarding the wantaway Englishman.